AUTOSEAL® West Loop Stainless Steel Travel Mug (Vacuum Insulated) - 16 oz. 100% leak and spill proof! Beverages stay hot for 4 hours, cool for 12! I tested this out with coffee and it kept it HOT for at least the 4 hours, I couldn't believe it! Stainless steel, sturdy travel mug that fits easily into my cars cup holder. Automatically seals between sips. Perfect for your back to school commute. Want a spill proof water bottle for the children? 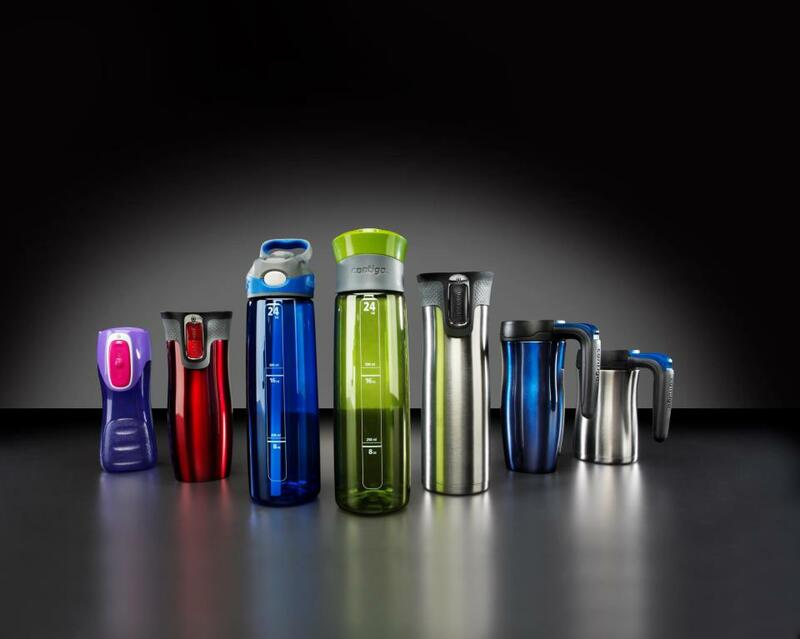 Try the BPA free plastic Contigo Trekker. products for school lunch packing or daytrips. Contigo is giving one of my readers a Stainless Steel Westloop in the Back to School Green Giveaway!! I received a product free of charge to facilitate my honest review.